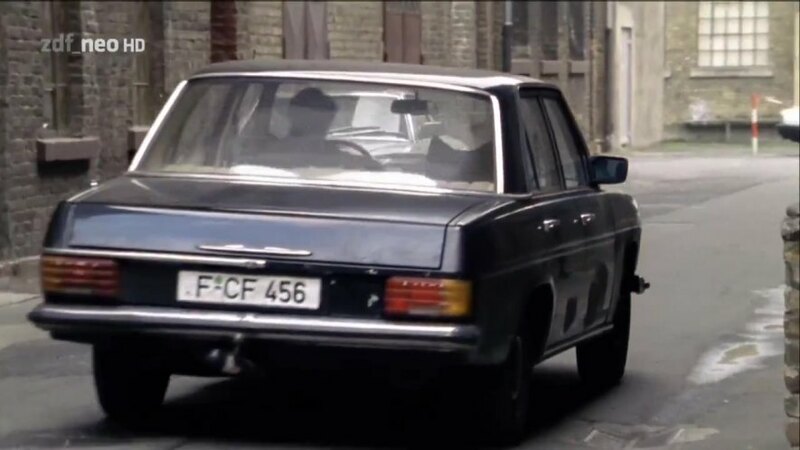 IMCDb.org: 1974 Mercedes-Benz [W115] in "Ein Fall für Zwei, 1981-2019"
I believe it's far more likely to be a four cylinder [W 115] than a six cylinder [W 114]. 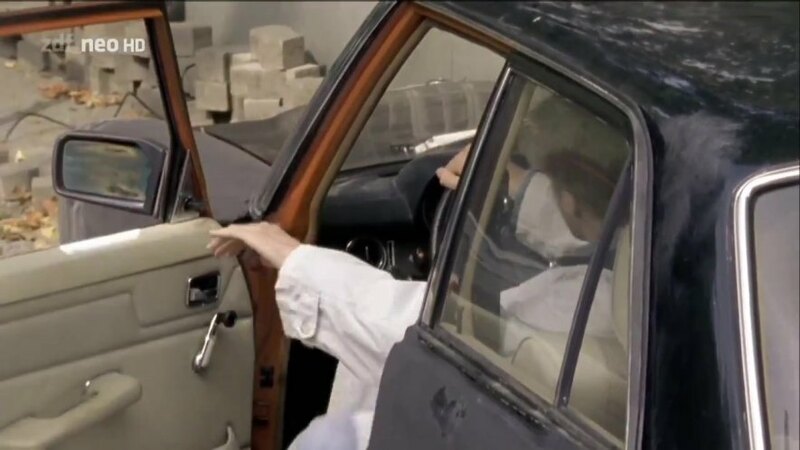 That is if no engine sound can be heared. 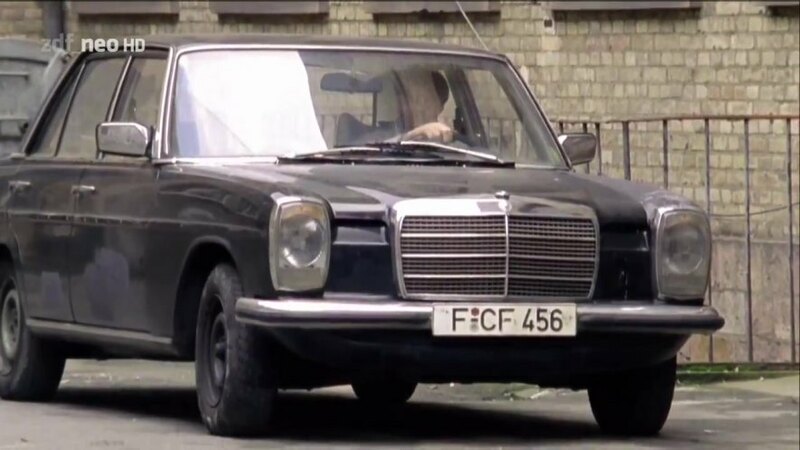 1974+ because of the door mirrors and the side windows. 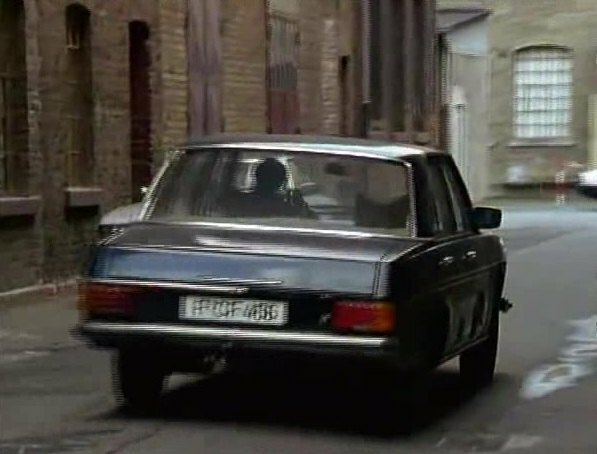 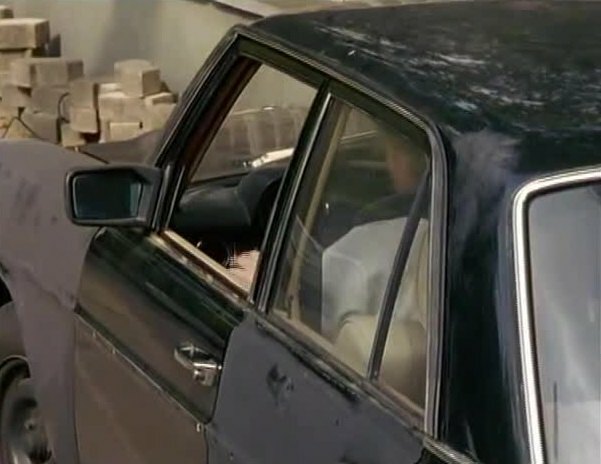 No extra jewellery around side windows -> W115.